A perfect solution for the outdoor enthusiast seeking a simple harness system for cameras or binoculars. 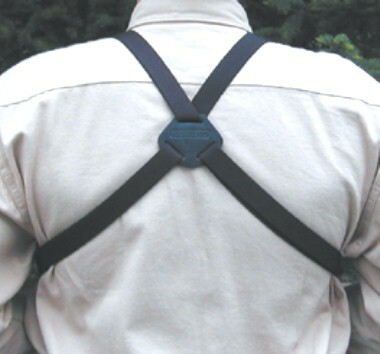 The BINO/CAM HARNESS™ self-adjusts to comfortably balance gear while in use or in the idle position against the body. 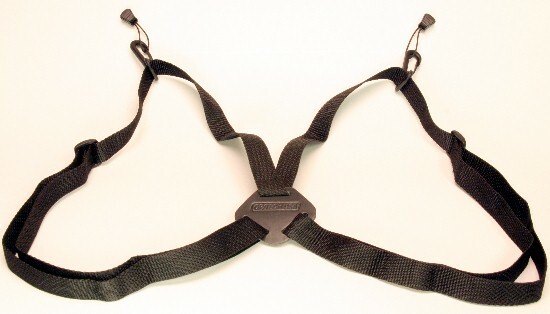 The unique loop attachment system enables the harness to quickly snap in place. It’s simple design and great price is sure to win approval! There are two versions, web and elastic. The elastic version stretches and allows your camera or binoculars to be held tighter against the body. The web version is rigid, does not stretch or bounce as you walk. 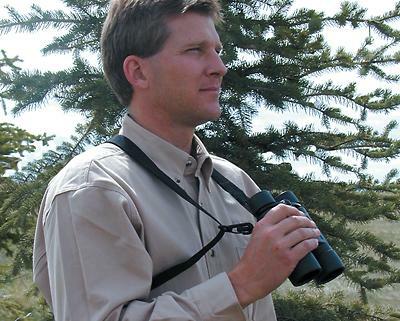 Both allow the camera or binoculars to be brought up to the eyes for use.